To celebrate, the firm is offering a helpful ‘Pet Facts and Stats’ Infographic at no cost! As an easy way to celebrate the holiday, the company is also offering up their ‘Pet Facts and Stats’ infographic at no cost. 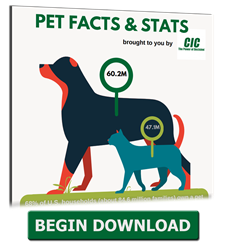 Click Here to download CIC's 'Pet Facts and Stats' infographic in recognition of National Love Your Pet Day! Contemporary Information Corporation™ (CIC™), the nation’s leading provider of tenant and employment screening , is celebrating National ‘Love your Pet’ Day on their blog, Resident Screening Blog. Providing multifamily industry professionals tips on how to celebrate the holiday on February 20th, 2018, the company is also offering up their ‘Pet Facts and Stats’ infographic at no cost. While it is uncertain how National ‘Love you Pet’ Day got its origins, the holiday encourages pet owners to focus on the special relationship they have with their pets. The CIC blog suggests that rental properties can take advantage of the unique holiday by showing some extra appreciation for their pet-owning residents. This can be in the form of pet-themed resident events, or smaller property changes and amenities. CIC™ encourages you to celebrate National ‘Love your Pet’ Day with them by utilizing their resident relationship-boosting tips on Resident Screening Blog and sharing the results with them on social media. As an easy way to celebrate the holiday, the company is also offering up their ‘Pet Facts and Stats’ infographic at no cost. To download the infographic for free, Click Here.